The UNLV Office of the Executive Vice President and Provost is pleased to announce Javier Rodríguez, Ph.D., as the new Vice Provost for Academic Programs, effective January 1, 2019. Rodríguez most recently served as vice dean for the UNLV College of Sciences. In his new role, he will lead academic assessments, academic degree and unit implementation and changes, and the university’s regional accreditation. He also will provide strategic advice to the Provost Office related to new programs and program changes to ensure UNLV is in a position to compete for the best students. Rodríguez joined UNLV in 2002 as an assistant professor in biology. 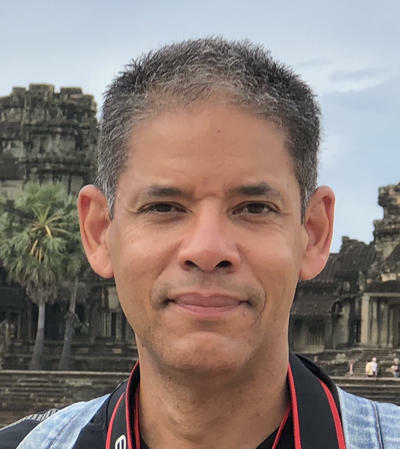 He soon took on leadership positions with the UNLV School of Life Sciences, including serving as assistant director and associate director from 2007 to 2010. Rodríguez is also a member of UNLV’s Accreditation Committee, and of the Ombuds Panel. Rodríguez is an evolutionary biologist whose research focuses on elucidating the geographical distribution of genealogical lineages of amphibian and reptile species from the Puerto Rican Bank in the eastern Caribbean Sea, and on the feeding ecology of snakes from western North America. Rodríguez received his doctoral degree in integrative biology from the University of California, Berkeley. He earned his bachelor and master of science degrees in biology from the University of Puerto Rico, Río Piedras.